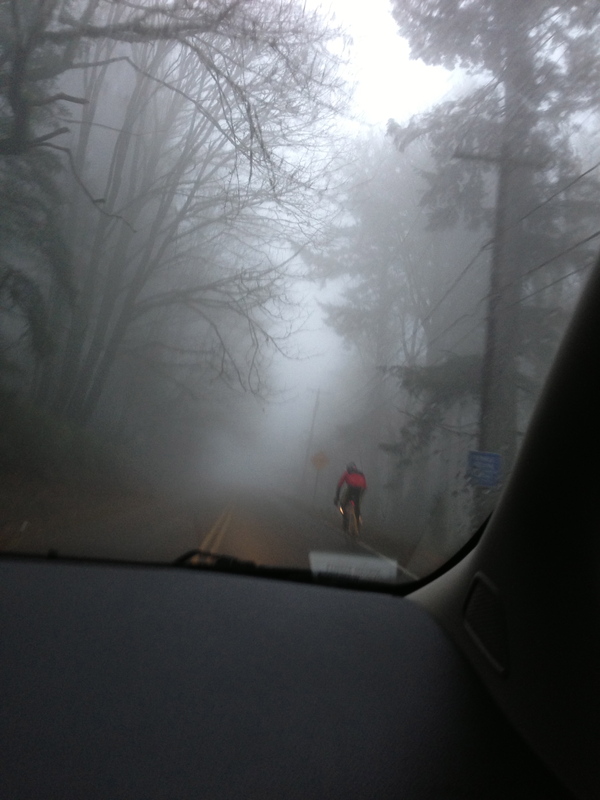 Fog + bikers + Skyline Boulevard = one nervous driver on a recent early evening drive. No, not me. Kenny. I was the nervous passenger. Haha. I was already nervous about the fog and Kenny taking the two-lane mountainous road – but then add some bikers who make me nervous on a normal, sunny day, and well, I need Tums. Can we get some sharrows up in this piece? LOL!